I’m a member of Rock Choir (singing is good for the soul, don’t you know?) and this year marks Rock Choir’s 10th anniversary, so there’s a big party at the NEC in Birmingham. Each choir is designing a flag to represent where they’re from. The Weymouth flag will naturally feature the beach! And beach huts! 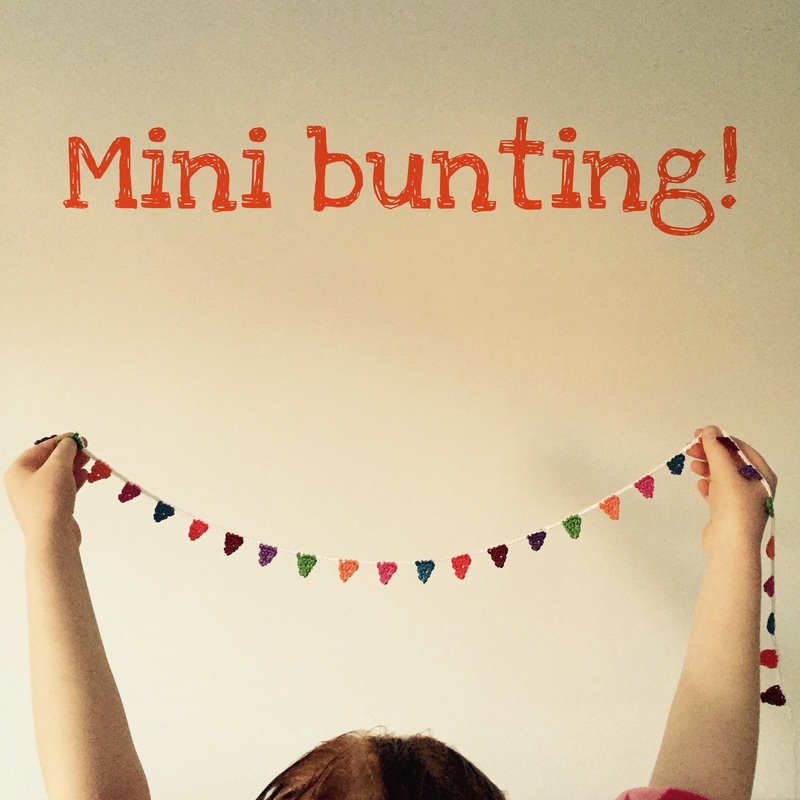 And beach huts need bunting – enter me! I found a tutorial for mini bunting on Attic 24, but made my teeny flags even teenier than the pattern by only hooking a starting row of four stitches.